Fashion is big business in Australia. 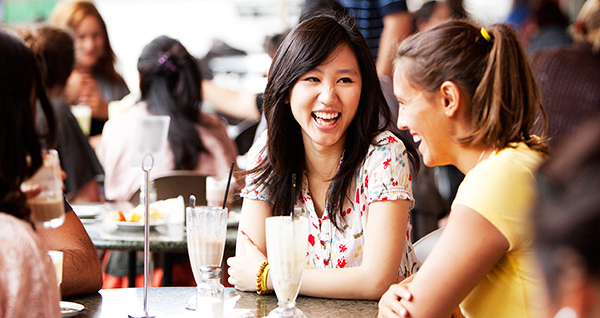 Last year it generated a domestic market value of AUD$28.5 billion, with 85 per cent of industry representation comprising small to medium businesses. 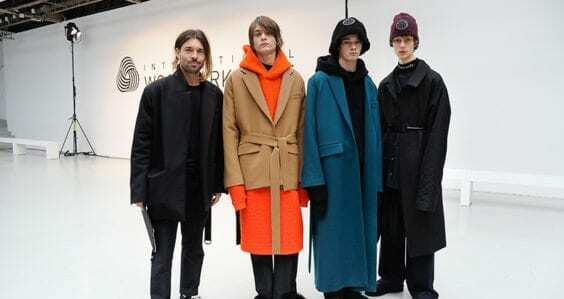 While this is great news for emerging independent designers, it means competition is fierce, and to remain a cut above the rest, creatives don’t just need to know how to design, they also need to know how to sell their style. 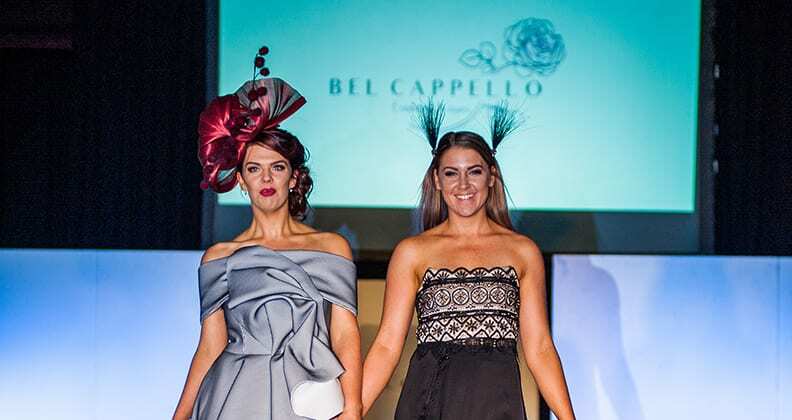 Bel Cappello, a bespoke race wear and millinery brand run by engineering alumna Holly Kiely and her mother Jennine, is doing just that. 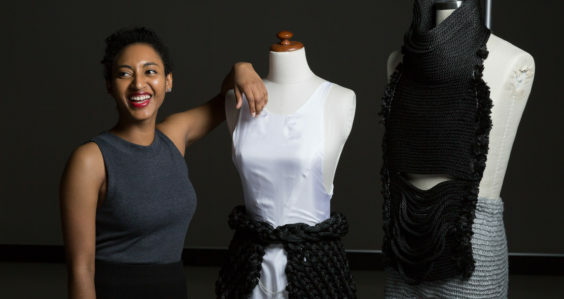 Behind this dynamic design duo is Holly’s best friend, Jesica McKenzie, a mass communications graduate who manages the label’s PR, helping propel Bel Cappello onto global runways. For Bel Cappello, brand awareness is especially important as the label is based in Kalgoorlie, a town better known for its red dirt and Super Pit rather than its penchant for fine hats. But McKenzie explains that the label has leveraged its unique location to create a brand that is about community, finery and attention to detail – something that bigger, more accessible labels can lack. “Our regional positioning has provided a pathway to the quick success of Bel Cappello,” she says. “We live in a digital world, and I knew from my studies that there would be no issue launching a label in Kalgoorlie and having it expand beyond its regional borders. From its official launch in April 2016 at the Kalgoorlie Boulder Racing Club, pieces from the label’s collection were worn at the Melbourne Cup Carnival and several featured in Vogue and Elle magazines online. That same year, Bel Cappello featured at London Hat Week and caught the interest of global milliner Ana Pribylova, who invited the label to showcase its dresses alongside her millinery line at London Fashion Week. “It was an incredible experience going from one year out of graduating university to being backstage at a major runway show in London,” says McKenzie on the global rise of Bel Cappello. The ladies are set to add another feather to their caps when they take the 2017 collection to New York Fashion Week this September. McKenzie says months of preparation have gone into their involvement in the event. 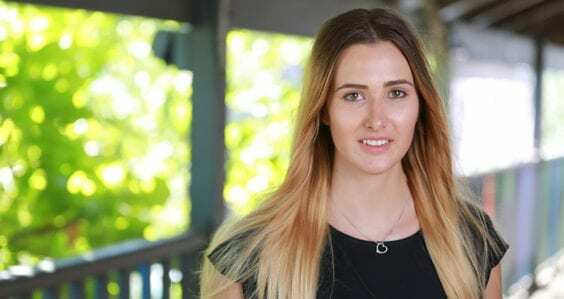 McKenzie seems especially confident for someone who left university just two years ago, but says her abilities grew from her determination to have a successful career in PR regardless of living in a regional town. She has certainly achieved that – as well as managing the PR for Bel Cappello, she also runs her own communications agency. “Don’t be afraid to step outside of the box – your degree is your boarding ticket to a career that you design!” advises McKenzie to aspiring marketers and publicists. 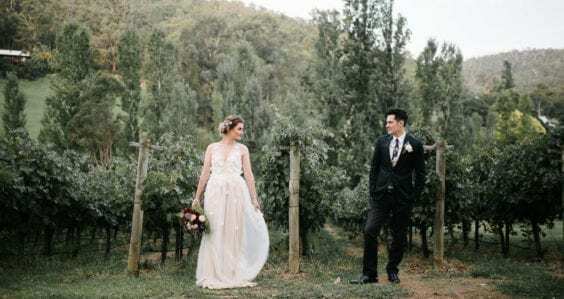 “I never in my wildest of dreams thought I’d be running a communications agency and a clothing label at the age of 24 after my degree, let alone in regional WA. McKenzie will no doubt gain a wealth of experience at New York Fashion Week and invest it in the continual growth of Bel Cappello. You can be a part of Fashion Week, too – Bel Cappello will be live streaming their runway showcase on September 8 and encourage all fashion lovers to witness the glamour. Head to their Facebook page for details.